Peanuts, "Caroling Crew" Hand Numbered Limited Edition 3D Decoupage with Certificate of Authenticity. Created from the original artwork archived at the studio, "Caroling Crew" portrays the simple yet emotive art of Charles. M. Schulz, creator of PEANUTS. This 3D decoupage print on paper is hand numbered with Certificate of Authenticity. Measures approx. 23.5" x 15.5" (shadow box), 7" x 7" (image). The popular comic strip Peanuts was conceived by a young Charles Schulz in 1950 following his mildly successful strip Li'l Folks. The comic ran for 50 years in newspapers around the world, finally coming to an end on February 13, 2000, the day after Schulz’s death. The strip includes a popular cast of characters including the lovable Charlie Brown, the comical Snoopy, the timid Linus, and the bossy Lucy. Though Peanuts is one of the most beloved daily comics of all time, the franchise successfully branched out into other media as well. 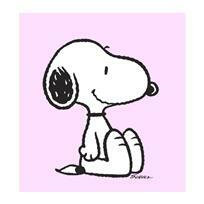 The Peanuts canon includes successful television specials including A Charlie Brown Christmas (1965) and It’s the Great Pumpkin, Charlie Brown (1966); a successful stage musical entitled You’re a Good Man, Charlie Brown (1967); and the Saturday morning cartoon The Charlie Brown and Snoopy Show (1983-1985). 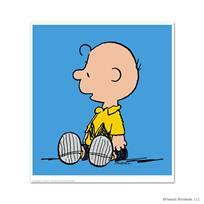 Though Peanuts arguably reached its peak of success from 1965 to 1985, younger generations are becoming reintroduced to these classic characters through the recent release of "The Peanuts Movie" (2015) -- proving once again the timelessness of Charlie Brown and his gang. Peanuts, "Jump Right In" Hand Numbered Limited Edition 3D Decoupage with Certificate of Authenticity. 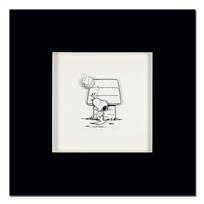 Peanuts, "Snoopy: Pink" Hand Numbered Canvas (40"x44") Limited Edition Fine Art Print with Certificate of Authenticity. 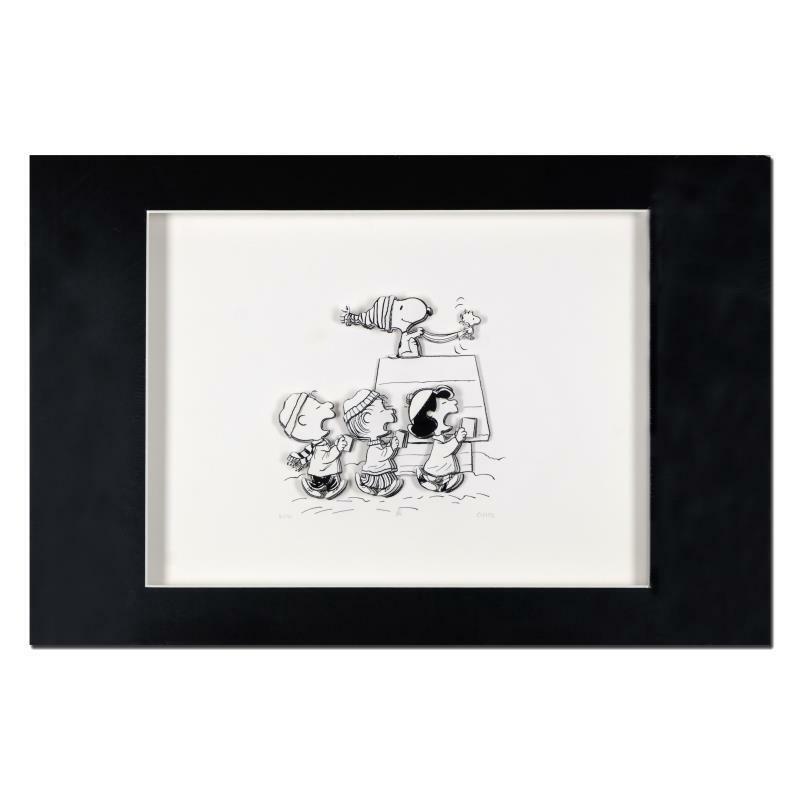 Peanuts, "Friends" Hand Numbered Limited Edition Fine Art Print with Certificate of Authenticity. Peanuts, "Champ" Hand Numbered Limited Edition 3D Decoupage with Certificate of Authenticity. 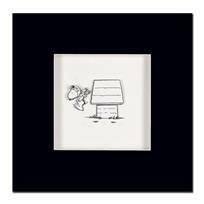 Peanuts, "Take A Moment" Hand Numbered Limited Edition Fine Art Print with Certificate of Authenticity. 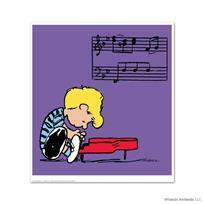 Peanuts, "Schroeder" Hand Numbered Limited Edition Fine Art Print with Certificate of Authenticity. 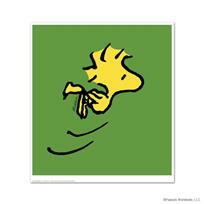 Peanuts, "Woodstock" Hand Numbered Limited Edition Fine Art Print with Certificate of Authenticity. 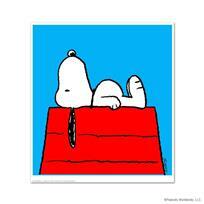 Peanuts, "Snoopy: Red" Hand Numbered Limited Edition Fine Art Print with Certificate of Authenticity. 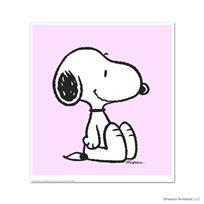 Peanuts, "Snoopy: Pink" Hand Numbered Limited Edition Fine Art Print with Certificate of Authenticity. 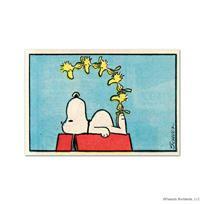 Peanuts, "Charlie Brown: Blue" Hand Numbered Limited Edition Fine Art Print with Certificate of Authenticity.